When using lime and gypsum as management tools in your agronomic program it is important to get 100% efficiency out of your investment. The most effective way to ensure this is to source micronized materials. Research has shown that it is required to grind these minerals to 200 mesh minus to guarantee completeness of reaction in an agronomically appropriate time period. All MICRONA™ liming materials are micronized to at least a 200 mesh minus guarantee. MICRONA™ products are produced to high efficiency standards. No longer do growers have to wait for chemical weathering of liming materials. pH change and calcium increases from MICRONA applications happen in an agronomically appropriate time frame, with predictable, repeatable release rates. Growers can expect a benefit from 100% of the applied mineral, which is a dramatic improvement over traditional materials. With modern manufacturing technology available to agricultural producers there are more efficient products available to manage pH on the farm. Application rates can be tailored to crop and soil requirements on an annual basis using MICRONA™ prilled and liquid materials provide ease of handling and improved ROI for the producer. In many soils and cropping systems, calcium needs to be supplemented to improve economic return for the grower. To achieve a nutritional response from calcite lime or gypsum it is of critical importance that they be milled as finely as possible. Sourcing a micronized material delivers a predictable release rate that allows for measurable increases in calcium to the harvestable portion of the crop, resulting in increased net return to the grower. MICRONA™ agricultural products are micronized to maximize, composed of the highest quality calcium minerals available. Modern cropping systems allow for precision fertility management. 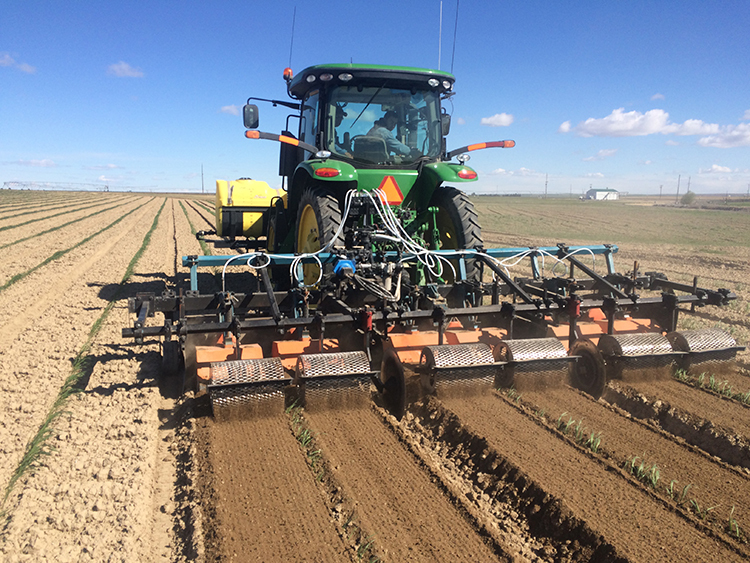 This may include strip spraying, banding and variable rate application based on zone or grid mapping. These manufacturing and application techniques leverage technology for on farm management decisions to maximize return for the grower.